Delray Beach Vibrations eNewsletter is lovingly delivered to you by Danika Dahl (that's me! ), and I-Love-Delray-Beach.com. 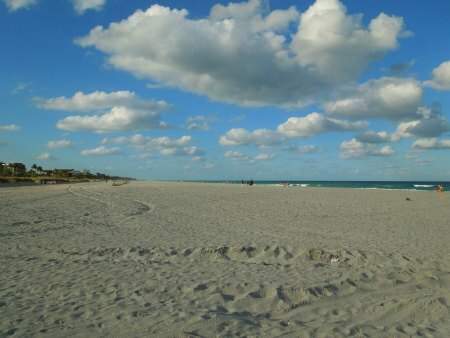 This eNewsletter allows me to share my love of Delray Beach, Florida with you, my reader! 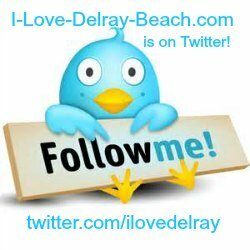 Regardless of where you live in the world, I deliver the Delray Beach Love directly to you, via your email. We will be featured on the inside cover of every single 2014 Rand McNally Road Atlas! Anyone can subscribe to it by simply clicking here. Once subscribed, all future eNewsletters will be delivered directly to your email box! All for free! If you haven't peaked at my August Calendar of Events page on my website yet, then you might not know that this week brings us two of Delray's Signature Events! Same week. Same date. True. On August 8th, we've got our newly re-vamped On The Ave Event. (This is what used to be known as Art & Jazz on the Avenue.) Heads-up: This is at a new location! It's still on Atlantic Avenue, but west of Swinton. And this one is completely and totally family-friendly! Fun stuff for the kids. Beer gardens for the parents. So, bring the kids. And kids, bring the parents. Kindly leave the pups at home. They'll thank you for it. On August 8th & 9th, we have the second Signature Event for the week! It's the very popular Tastemakers of Delray! This event is usually sold out but I just got confirmation that tickets are still available!!! Purchase tickets at any participating restaurant for $30, cash only. There are over 18 restaurants participating. Click on link above to see the list. To see all August events, click here. To see all September events, click here. Delray Yacht Cruises is celebrating the end of summer with End of Summer Coupons now through the end of September. Their day cruises for the sightseeing cruises are just $10 dolllars with coupon! With this kind of price, the cruises are selling out -- so be sure to purchase tickets in advance -- so you can take advantage of this great price! You know what I'm talking about, don't ya? Our Lovely Beach! 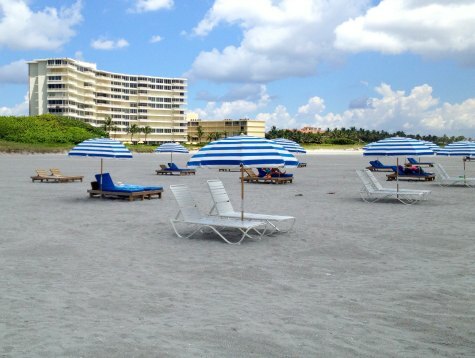 The beach restoration was completed in May and it left us with such an amazingly big and amazingly beautiful beach! We won the 2013 award from the American Shore and Beach Preservation Association for the Best Restored Beach in the United States! There are only seven of these awards given out -- so to say that our beach now ranks as one of the seven top beaches in the United States for renourishment and restoration is quite a feather in our sun bonnet! And, we're still busy boasting about our win of the Most Fun Small Town in America award! Very special thanks to everyone who shared their photos with me! This photo is prior to restoration and this is the reason why it was necessary to save our beach from complete erosion! Sadly, tropical storm Sandy did some severe damage. This photo is obviously during restoration. These are the pipes that piped the sand onto the beach. I know there were a lot of rumors floating around the internet that our beaches were closed during the restoration phase, but to my knowledge they were not closed. 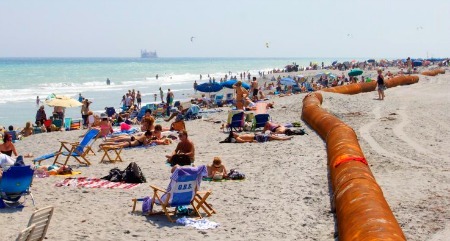 As you can see in the photo below, people still enjoyed the beaches -- even with the rude and obtrusive pipes joining them! Here's a beautiful photo taken after restoration. You can see the Hamilton House Condos in the background on the right. I shared this photo with you last month but here it is again in case you missed it. It's worth looking at twice! :-) This photo is obviously after restoration. 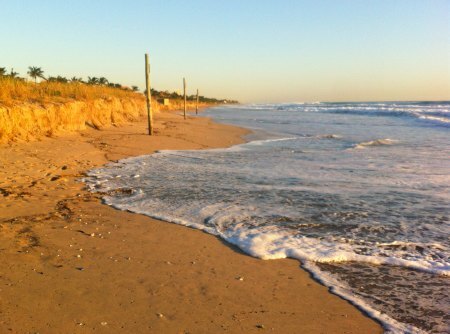 I'll be building an entire web page bragging of our new beach that now graces our shoreline. If you have a photo you'd like to submit (before, during or after the restoration project), you can upload it to my website here or you can email it to me, Danika Dahl. I'd be happy to include it on my website with photo credit to you. August 4th celebrates Shark Week! But at the Sandoway House, they've been doing Shark Week in a very large way! Their Shark Artifacts exhibit has been on display for the months of June, July and goes through the end of August. I have an entire web page on Shark Week and Sandoway's Shark Artifacts Exhibit here. Oh, and did you know about feeding the sharks at the Sandoway House? 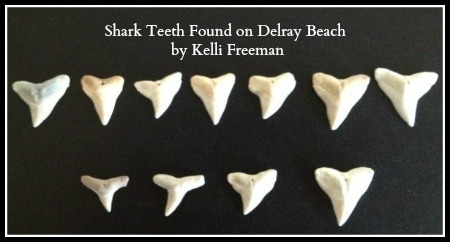 Most of these shark teeth were found on Delray Beach, right in front of the Hamilton House Condos. Pretty cool, eh? 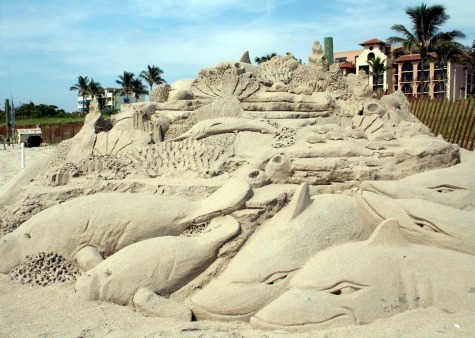 Sandcastles, Kids and Summertime Fun! As sandcastles, kids and summertime fun continues, be sure to check out my sandcastle pages for some fun sandcastle freebies and fun beach ideas for the kids. This entire sandcastle building set with DVD can be purchased for less than $35.00 with the $10-off coupon code below. And, free shipping applies on all purchases over $100. P.S. The $10-off coupon can be used on any items at the Beach Store website! See more sandcastle building toys here and use the $10 off coupon code above on all purchases over $30.00. Free shipping on purchases over $100.00! I hope you've enjoyed this issue of Delray Beach Vibrations. If you have any feedback or comments you'd like to share with me, simply reply to this eNewsletter or click here to send me a note. I'd love to hear from you! Follow me on Facebook, Twitter or subscribe to my Blog for quick delivery!